FINALLY, Power Finance Corporation Limited has got its regular CMD (chairman and managing director) in the form of MK Goel. He will serve the PSU for a period of five years or till his superannuation, whichever is earlier. MK Goel has assumed the charge of CMD, PFC with effect from January 22. "Government of India has appointed MK Goel as Chairman and Managing Director, Power Finance Corporation for a period of 5 years or till his superannuation, whichever is earlier," PFC said in a release. An electrical engineer by profession, MK Goel has an experience of about 35 years in the power sector and is working in PFC for more than 26 years. 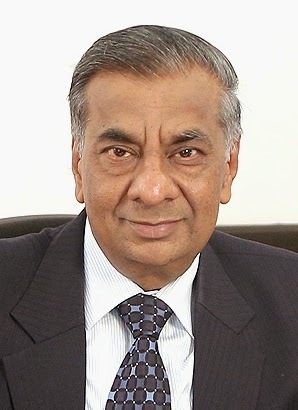 He has been associated for a long period with Government of India flagship schemes like RAPDRP (Restructured Accelerated Power Development Programme), UMPP (Ultra Mega Power Plants) and recently launched IPDS. The Navratna PSU has been conferred with many prestigious awards including "KPMG-Infrastructure Today Award 2008" for its contribution in development of power sector. PFC has been providing financial assistance to power projects across the country including generation, transmission, distribution. Recently, it has forayed into financing of other infrastructure projects which have backward linkages to the power sector like coal mine development, fuel transportation. PFC is also the nodal agency for the implementation of the ambitious UMPPs. In a related development, the government is likely to sell five percent of its stake in Power Finance Corporation (PFC) next week which could fetch Rs 1,850 crore to the exchequer, says a media report. The PFC stake sale through Offer for Sale (OFS) or auction route may happen as soon as next week, a source said. At current market price, a sale of 5 per cent stake or 6.6 crore shares would fetch the exchequer over Rs 1,850 crore.